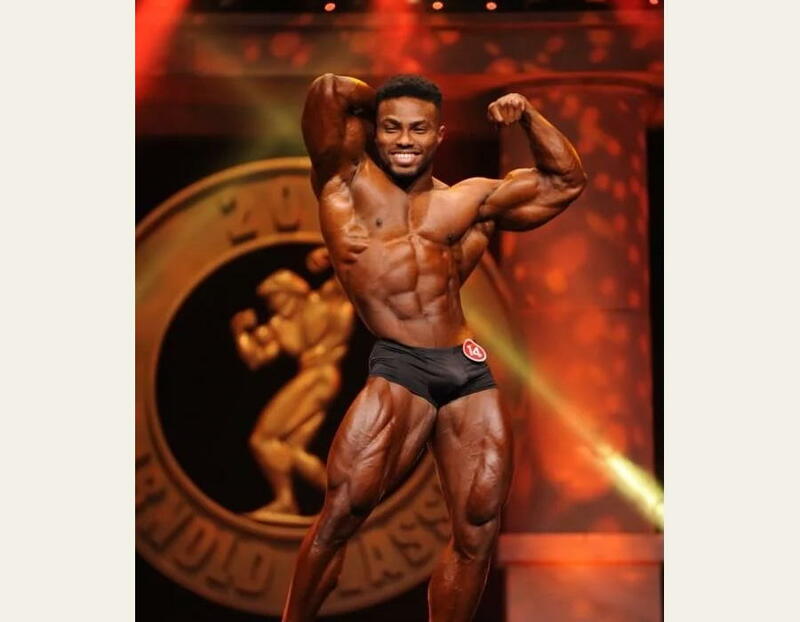 Reigning Olympia Champion Breon Ansley won the first ever Arnold Sports Festival Classic Division championship and William Bonac upset reigning champ Cedric McMillan in the men’s open. Here’s how the top placings went down in the historic 30th rendition of the Arnold Classic. The 2017 Classic Olympia Champion and Old School Labs ambassador Breon Ansley didn’t miss a step and brought a near flawless package into Columbus to take the first-ever Classic Physique title at the Arnold Sports Festival, going against a huge lineup of more than 30 athletes. Here’s what went down. Despite the fact that many top Classic Physique stars like Chris Bumstead and George Peterson stayed away from Columbus, Ansley took nothing for granted and displayed an ever better overall physique at the Arnold than the one that earned him the Olympia crown. Ansley also has the advantage of a charismatic stage presence, and executes his mandatories and evening posing routine with passion and athletic grace that represents bodybuilding at its best. While he faced a stiff challenge from surprise runner-up Courage Opera, Ansley sealed the deal every time the top placers revealed their back poses. Head-to-toe, Ansley has one of the most complete packages in the sport that’s built on eliminating weaknesses. Arnold Schwarzenegger himself should be pleased that the first Arnold Sports Festival Classic Physique champ in history is Breon Ansley. A perennial top-five finisher in the big Classic Physique shows, Rahbar once again proved he belongs in the elite of this exciting new division. The Iranian-American bodybuilder took it to Ansley, displaying terrific symmetry on his 5’11” frame. His larger dimensions made Rahbar stand out against the rest of the top five, but he couldn’t match Ansley’s overall balance and conditioning, especially from the back. Rahbar has won the New York Pro and Pittsburgh Pro Classic Physique contests, both in 2016, and finished fourth in the 2017 Classic Olympia, and was the runner-up the year before. He has to be considered one of the favorites for the 2018 Classic Olympia, but he has work to do in order to catch Ansley. One of the joys of experiencing these early Classic Physique shows is watching athletes come out of nowhere to claim glory. The intriguingly named Courage Opara took on the impressive lineup onstage, and by the time the fat lady sang, he was holding the third-place trophy. Opara made tremendous improvements in a single year, putting terrific size on his quads and chest to fill out a frame in the requisite classic aesthetic style. With great lines and a magnetic smile, Opara knows how to work a crowd. He has potential to become a force in the Classic division for years to come. Like Dexter Jackson, Hester is a sage veteran who defies age. Despite being nearly 50 years old, Hester improved on his condition from the 2017 Classic Olympia where he finished fifth. 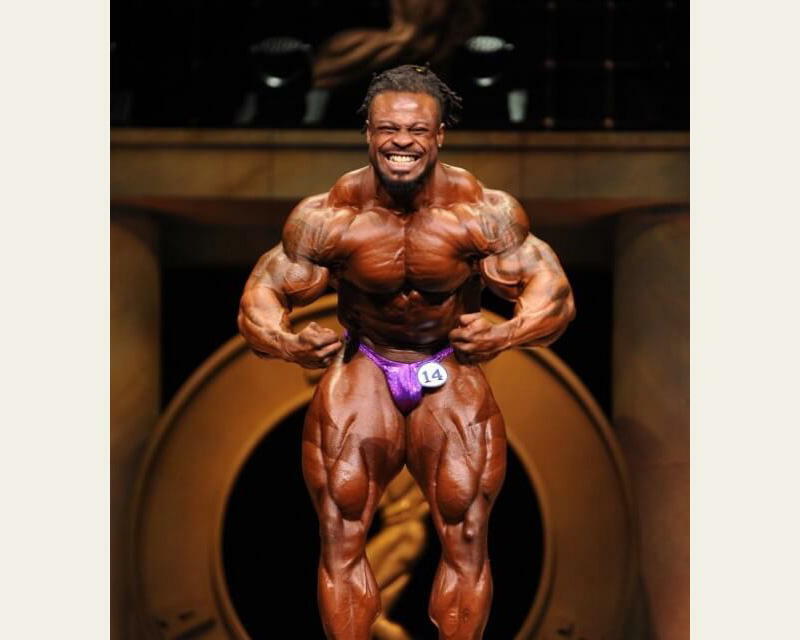 Already having earned his place in bodybuilding history as the first-ever Mr. Olympia Classic Physique champ in 2016, Hester proved there’s still bite in this old dog as he came very close to out-posing Rahbar and Opara with his superbly balanced 5’6”, 180-lb frame. Hester is a class act, and proved he’s still a force to reckon with. Don’t count him out for the 2018 Olympia. He served notice in Columbus. A member of the Army Reserves, Ford surprised here at the Arnold with his impressive musculature, especially his imposing arms. To place higher, Ford will need to bring in his midsection to improve his shoulder-to–waist ratio. When you’re going against superstars with the dramatic proportions of Breon Ansley, you need to better emphasize those classic Golden Era shapes in order to have a chance. The first NPC Jr. Nationals Classic Physique winner, this Ford is built-tough and should make his presence felt in future contests. Those wondering if the Classic Physique division could become a popular draw have received their answer. Two years after the category launched, fans and competitors are flocking to Classic. The first-ever Arnold Sports Festival Classic Physique competition last Friday welcomed a full roster of 31 athletes. After years of placing high in both open and Classic Physique contests, the popular veteran Lee Banks ended up way back in 15th place. Though he finished ninth in the 2017 Classic Olympia contest, Banks was facing a lineup minus many top Classic Physique competitors and missed an opportunity to take advantage. Courage Opara, the competitor with the musical name, posed to a song called “Half the Man” by Methodic Doubt Music. While the track was a great choice providing dramatic rhythms and striking chords, the song title is as far removed from Opara’s persona as you can get. It’s like a Formula One racer picking “Slow Ride” as his theme song. William Bonac overcame a challenge from five-time Arnold champ and former Mr. Olympia Dexter Jackson and delivered the knockout punch against reigning champion Cedric McMillan in an upset at the main show on Saturday night. Here are the top five. “William “The Conqueror” Bonac lived up to his name by overthrowing the reign of McMillan, displaying incredible thickness combined with rock-hard conditioning, becoming the Arnold Classic 2018 winner. This was Bonac’s first appearance in the annual Columbus muscle celebration after coming off an impressive 3rd place finish at the 2017 Mr. Olympia contest. Bonac showed up at the Arnold with more momentum than his challengers, including some of the most seasoned veterans in the sport, most notably Dexter Jackson, who finished runner-up. 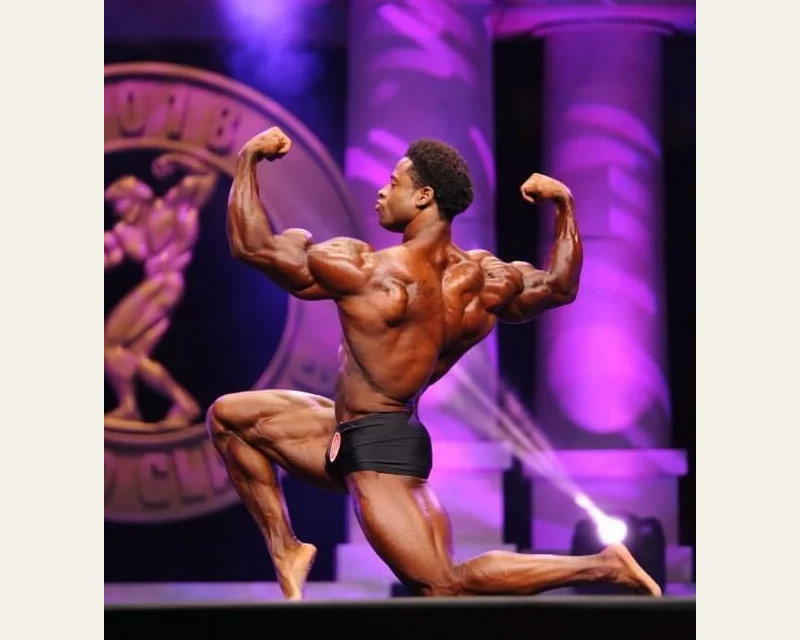 Born in Ghana, Bonac now lives in the Netherlands, and the European settler dominated the prejudging with his perfectly peaked physique. Despite his shorter stature, Bonac has improved more than any other top pro bodybuilder over the last few years. Though Bonac is extremely massive for his height, he does not appear blocky onstage, and he hits his poses with confidence and polish. If he continues improving, look for The Conqueror to challenge Phil Heath for the Mr. Olympia later this year. He’s already won the Arnold Classic a record five times, but The Blade is still hungry for titles, and at 48 years old, he nearly won his sixth. Jackson was just simply out-conditioned by Bonac. Still, the Dexter looked bigger and sharper than he did at the 2017 Mr. Olympia where he took 4th place. He had better aesthetic shape than Bonac, but didn’t come near the diamond-hard balance as the winner. Jackson also seemed to be having trouble controlling his midsection at the crucial prejudging comparisons, and he didn’t demonstrate his characteristic Blade-like hardness that he is known for. Despite not winning top honors, Dexter Jackson once again proved why he’s won more IFBB pro shows than anybody else in history. A truly phenomenal athlete. The reigning champ just didn’t have it in Columbus Saturday night. McMillan was in good shape, but just not good enough to overcome the tremendous gifts of Bonac and Jackson. McMillan has the potential to dominate any professional contest he enters with his great structure and huge but aesthetic physique. He simply misses his peak too often, and if he would have shown up with a bit more muscle and the same conditioning that won him the title last year, he very well could have retained his crown. He needed his all-time best against this packed lineup, but wasn’t able to achieve it. Winklaar was the potential dark horse coming into the 2018 Arnold Classic, and he impressed with his incredible muscle mass, but it wasn’t enough to place higher than fourth. The Netherlands native is the biggest bodybuilder in the world, but to take this contest he needed to dial in his conditioning at a higher level than he showed here. 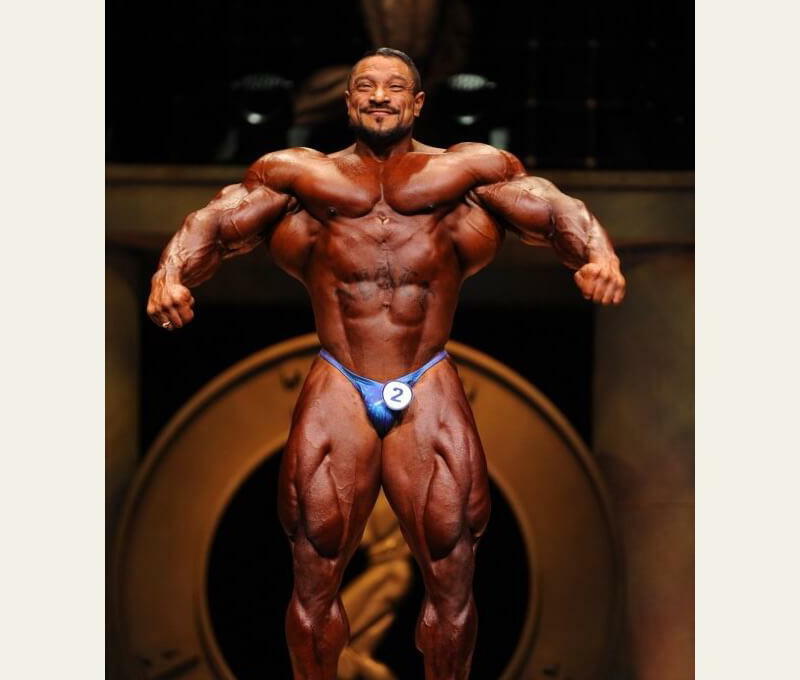 Although he was very round and massive onstage, Roelly didn’t have the definition to highlight all his remarkable mass. He has worked on improving his waistline over the last few years, but there were still times during the prejudging when his gut protruded, detracting from his overall shape. Still a fan favorite, Winklaar has tremendous stage presence and brings excitement to any show he enters. A surprise top-five finisher, Kuclo demonstrated tremendous balance on his wide frame, displaying thick muscle bellies and great muscle shapes. A testament to old-fashioned hard work, Kuclo works as a firefighter/paramedic for his day job, yet still finds time to compete at the highest levels of the sport. Here he showed great conditioning, despite the fact that he gets near 300 lb in the off-season. He looked better from the front than the back, but this was a great showing for the veteran Texas bodybuilder. The hype for the return of German star Dennis Wolf withered quickly when he hit the stage. The Big Bad Wolf showed up with decent size, but his flat conditioning and deficient pec mass was his undoing. He finished 12th, a serious setback for Wolf, a past winner of the Arnold Classic. His future is now in serious doubt. The massive Winklaar didn’t crack the top three in the contest, but he took home a cool $10,000 for winning the special Most Muscular trophy. It may have been the easiest call of the night, considering his jaw-dropping dimensions that stood out, even in this superlative lineup. It’s perhaps fitting, since the contest is named after an Austrian native, that European bodybuilders made their presence known. Three of the top six finishers hail from Europe (Winklaar and Bonac from the Netherlands, Beyeke from France), which is uncommon in most IFBB pro shows. It truly proves that bodybuilding is a global sport. 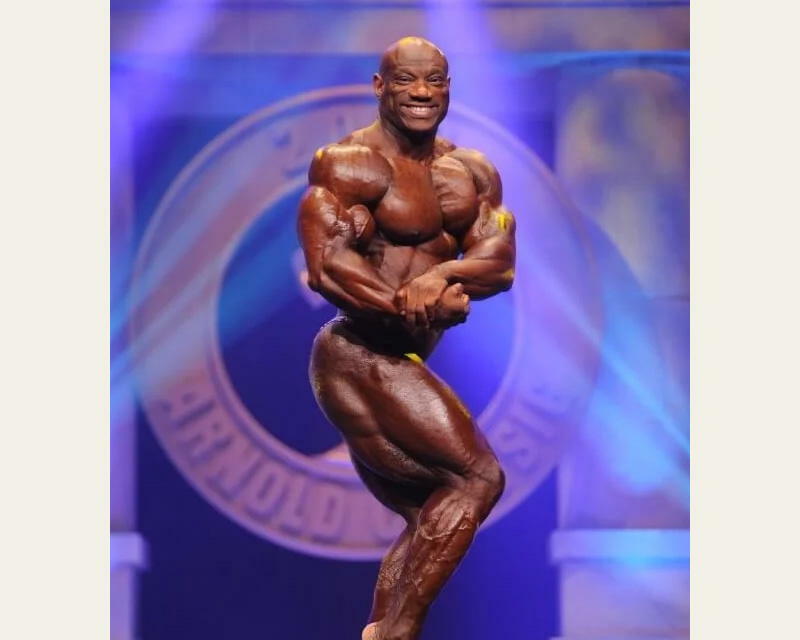 In a post-contest interview posted on YouTube, a spirited Dexter Jackson said he was disappointed about not winning, but pleased he’s “still beating youngsters” half his age. He also confirmed that he has no plans to retire anytime soon, and will compete in the upcoming IFBB Australia Pro contest. What do you think? Do you agree with the results of the first-ever ASF Classic Physique and open men’s contests in Columbus? Tell us in the comments below. Arnold Classic Predictions: Here’s Who Will Win!